The person you listed as Dwayne Carpenter was actually Duane, father of James E. and Willis T. and others. Marcus Carpenter was the son of James E. and Lena Carpenter, grandson of Duane. Thanks so much for posting these pictures and history. My El Camino originally came from this dealership in 1970 and I have often wondered what it looked like. The period pictures are excellent. Ray Gronberg reported in the Herald-Sun yesterday (September 29, 2014) that the City staff is endorsing this site for the new police headquarters. It's a terrible decision, the latest in a long line of terrible decisions by which the the City and County have seriously damaged downtown while professing to be trying to "revitalize" it. I'm reminded of the late manager of the Baltimore Orioles, Earl Weaver, who once said to an umpire after a series of bad calls, "Are you ever going to get any better, or is this as good as it gets?" 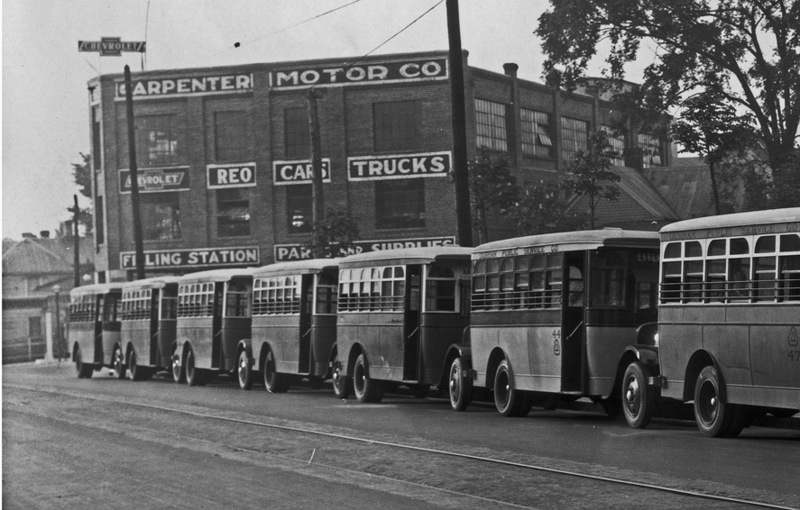 The Carpenter family firm started in 1893, when James E., John W. and Duane Carpenter formed a partnership to sell 'heavy groceries', feed, and buggies on Parrish St. In 1910, the firm began to sell Metz automobiles and Kohler trucks out of a catalog. 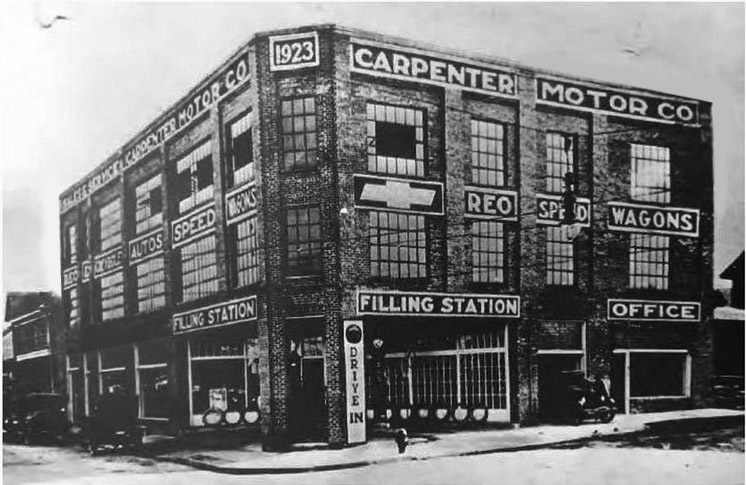 In 1912, the Carpenter brothers established the first Ford and Dodge dealership in Durham. 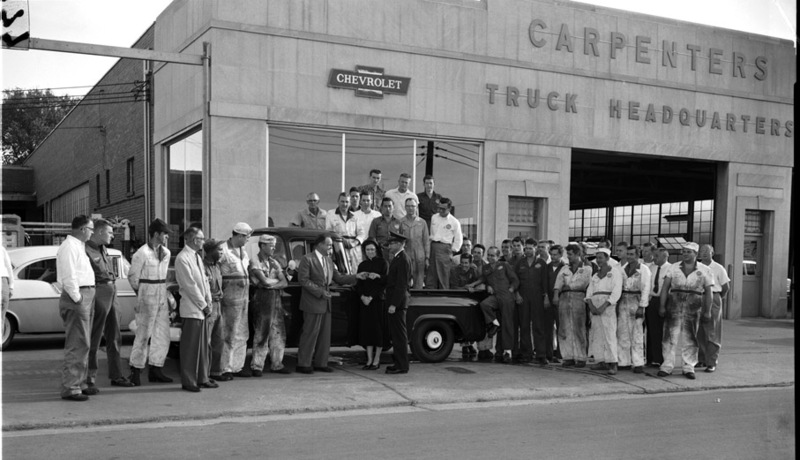 In 1915, they switched their allegiance to Chevrolet, and remained a Chevrolet dealership from that point forward. In 1923, Marcus Carpenter, James E. Carpenter's son, built a new dealership building in the 600 block of East Main St. 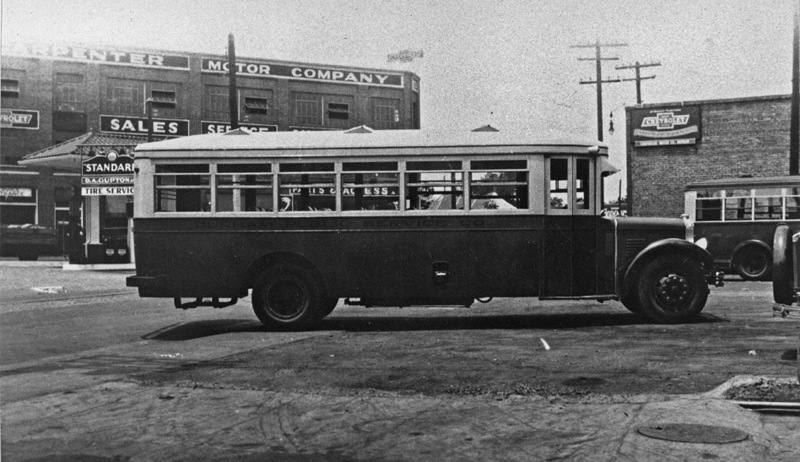 Above, seen from the Bus garage on the north side of the street, looking southwest. Above, looking east on East Main St. In 1928, they built a second 3-story structure at 616 East Main St. In 1932, they built a single-story masonry garage addition to the eastern end of the original building, facing Walker Street. 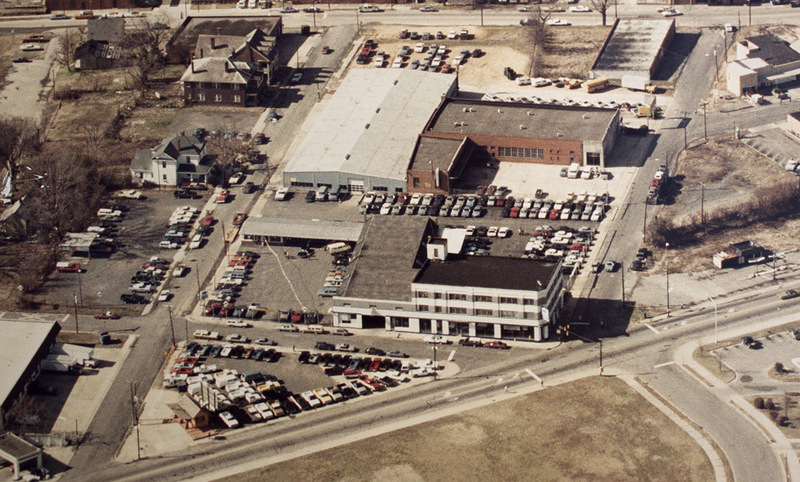 A truck garage and adjacent service wing were built just to the south of the original dealership on South Elizabeth Street in 1948. The original building originally had a drive in filling station on the first floor corner. Per William Dula, in 1950 the original building was "modernized for show room and office space," which is likely when this was enclosed and the tiles added to the exterior; this is likely when the large 24 pane windows (with an 8 pane operable window in the center) were replaced. Dula notes that in 1950, the officers of the company were: Marcus G. Carpenter, president; John W. Carpenter, vice-president; and Stanley M. Carpenter, secretary-treasurer. He also notes that "Mr. Carpenter" (presumably James) served on the Durham city council from 1908 until his death in 1939. In 1969, a large steel frame garage sheathed in sheet metal was built to the east of the truck garage, along Hood Street. Bird's Eye aerial looking south, 1970s. The Carpenter family sold the dealership to Sonny Hancock in 1989, who sold the dealership to Rick Hendrick. ~4 years later, Hendrick would build a new dealership at the intersection of Dillard St. and South Roxboro St. The buildings remain owned by the Carpenter family, and are occupied by multiple tenants, including Marcus Carpenter Jr.'s Carpenter Water Treatment Company. As of 2013, the great complex of buildings forming the Carpenter site were under serious threat of demolition as the probable preferred choice for a relocation of the City of Durham police department. City of Durham 'test fit' for the site, 2013. This entire complex of buildings was demolished in 2016 to make way for a new Durham City Police Department.